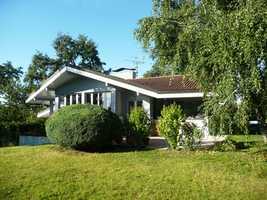 A French property with a landscaped garden is a joy for its owner. Though a property in France with a landscaped garden is more than just a pleasure. According to Money magazine, a landscaped garden can increase the value of a property by 100 - 200%. And the great news for property buyers in 2018, is that while property prices are currently low, you can pick up a place in France with a beautiful landscaped garden for much less than you think. A landscaped garden is not just a pretty garden. It's a garden that has been carefully designed. It's a garden that creates not just an outside space to your home, it creates a whole outdoor home! Think of a landscaped garden as another house, just one without a roof. It can have different areas for relaxing, areas for playing, areas for wandering and areas for dining. In fact, a landscaped garden introduces a whole new lifestyle. And as a garden is ever evolving, you can add features that reflect your individuality at any time. There will be some work to do to keep your landscaped garden gorgeous. If you enjoy gardening, this can only be a bonus. Gardening in the sunshine of France is a pleasure you can only dream of in the cold grey UK. And its great exercise too. An hour of gardening is as beneficial to health and fitness as an hour's tough aerobic workout in the gym! The amount of maintenance required depends on the garden. Often, though, a well landscaped garden looks after itself better than an ordinary garden. 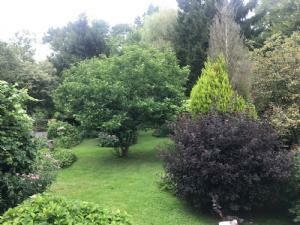 It is a more natural area, planted with shrubs and tress that require little work. Plentiful planting keeps weeds at bay. And, natural grass areas take less mowing than pocket handkerchief lawns that have to kept clean shaven. 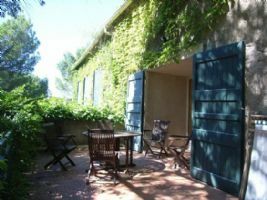 If you want to spend as many hours as possible outdoors in your garden, you may be looking for a property in the sunny south of France (Weather in France). Regions like the Languedoc enjoy 2,506 hours of sunshine each year, compare that with the measly 1,250 in the north of England! So, for those of you who love the sun, we've found some great properties featuring fabulous landscaped gardens. Of course, not everyone likes the heat of the Mediterranean. Some gardeners actively prefer a slightly cooler climate. Most of France benefits from more sunshine hours than Britain anyway, and it isn't necessary to live in the south to enjoy an outdoor life. Why not consider Brittany or Poitou-Charentes? Landscaped gardens add immeasurably to the pleasure of owning a property or home in France. 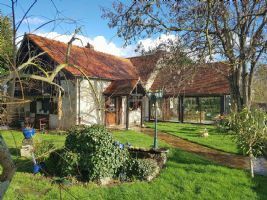 We've picked ten of the best properties that are for sale in 2018, so come on and take a look! 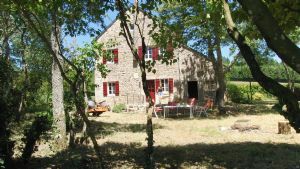 In Burgundy, just south of the Morvan, a former coach stop, on a now dead end road, tranquility, privacy and views over the rolling landscape, on almost one acre of garden and woodland, with connections for caravan or tent. The whole consists of 2 units of approx. 90 m2 that can be occupied together or separately.Each consisting of: Living room, kitchen, 2 bedrooms, bathroom and toilet. Underneath a vaulted cellar, convertible attic of 90m2 above. This lovely property set on the edge of a small village comprising kitchen, dining area, sitting room, 3 bedrooms, bathroom with sep w/c. Garage, plenty of parking, set in 2400m² of beautifully kept landscaped gardens with swimming pool, even your own golf course in you garden, just move in and unpack. Between Saint Savin and Le Blanc: beautiful house with a superb conservatory, workshop, garden and sheds, in very good state, with free view over the countryside. Located in a hamlet at 5 min. from the village and 15 min. from all amenities. Furnished apartment among 12 other small stone residences in a landscaped park with pools. 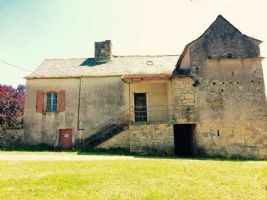 Annexe of a former priory, converted into a furnished apartment of 73 m² with 2 bedrooms and and an equipped kitchen. The whole landscaped park of the priory and the 2 swimming pools are in coproperty between the owners of each cottage. Private terrace of 33 m². Excellent rental income! Superb setting! Rare. Beautiful 180m2 Normandy style property on 4000m2 of landscaped, wooded park land, not overlooked, comprising a large dining room with insert fireplace + expansive living room with lots of natural light (combined area of 80m2), double-paned windows, equipped kitchen, 2 bedrooms with private entrance, wash room, separate toilet. On the first floor, 3 bedrooms, office, cupboards in all rooms, bathroom, toilet and laundry area. Suitable as a hotel or guest house. Stunning villa with 142 m² of living space on a landscaped plot of 1150 m² with infinity pool. Stunning single storey villa with 142 m² of living space with spacious living area/kitchen and 3 bedrooms on a wonderful landscaped garden of 1150 m² with petanque ground, covered terrace, summer kitchen, infinity pool, sauna and hot tub… a little paradise ! This 7 bedroom ski chalet for sale is ideally located between the Bettex and St Gervais les Bains (74170), The property provides a total floor space of around 300 m², and is set in a beautifully landscaped plot of 1570 m² which features a heated swimming pool.